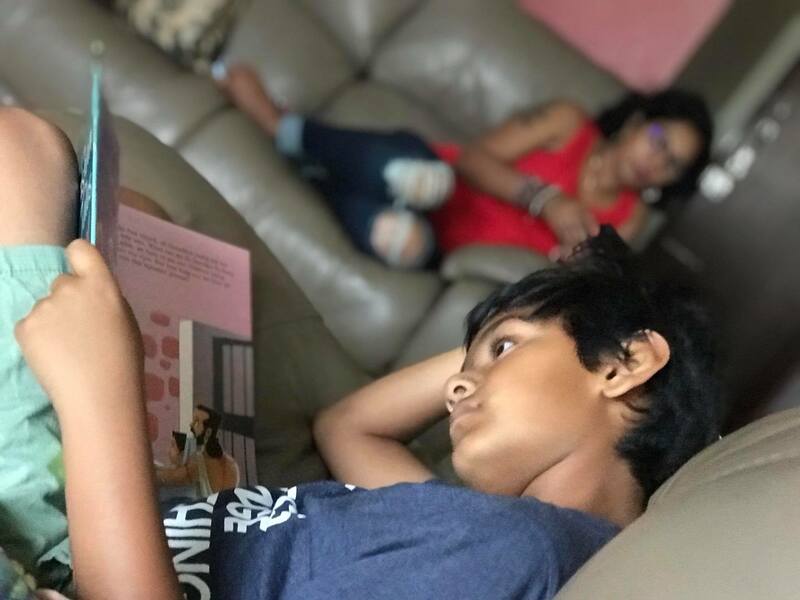 I was very amused because one is amused when you see an atheist’s son chant… but it was not surprising to me how he got into it… last time we came home he got hooked onto Chotta Bheem and Krishna cartoons…. He also made us buy him two small statues of Krishna. Now the only two God items in our house are the Krishna statues in his room.. He also started viewing the cartoons on YouTube. So this time when we came to India and we went to a bookstore…. all he wanted was books of Vishnu, Shiva, Ganesha and Krishna…. A few thoughts came to my mind. The same goes for me and I should not be imposing atheism on my son… But yes a rational thought is needed. And the best way is to let him know that these are stories and really good stories and we should all enjoy it….. I want him to grow up learning that there are many belief systems in the world….. beliefs that believers feel so real to them…. And also that there is a scientific pursuit of life and a rational way of looking at life…. But above everything I want him to be tolerant to others and go on his own pursuit of his truth…. I will only attempt to answer him as he finds his way through the maze… In my rational way I know that I should leave him to figure for himself what is right…. but I will also use this opportunity to talk to him about intolerances that exist in our world both religious and non religious. Just like the Conversations I used to have with Rhea when she was neck deep in Bible classes and Bible reading…. And we both agreed that Jesus was a cool dude…. and we also agreed that one does not need a religion to accept coolness…. We live in a world where Tolerance is more important than faith, God, belief or the lack of it….